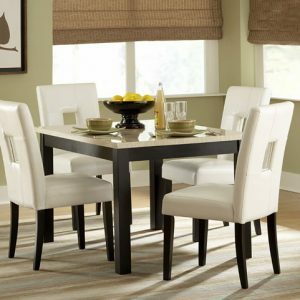 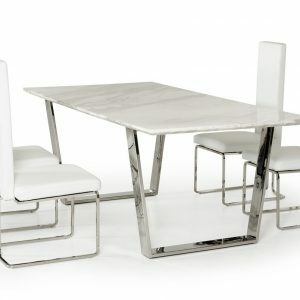 Gather your family around this stunning set to indulge in fine and fabulous dining. 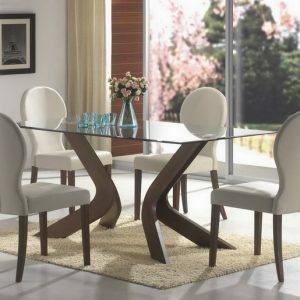 The smooth sleek lines of this rectangular table top offer a cozy and inviting feel while the beautiful wood finish adds a timeless touch. 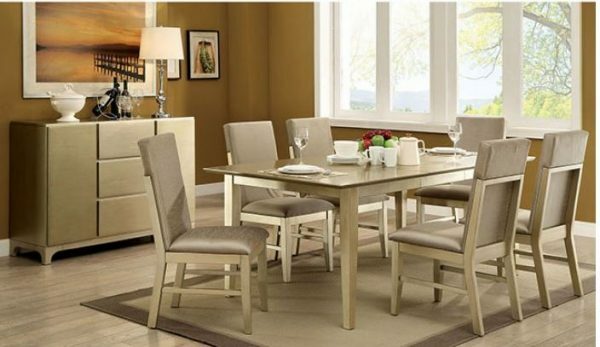 Paired with gorgeous fabric upholstered chairs, this dining set will make friends and family appreciate a fine dining experience.